Well in this article, we're going to get into it. You can go ahead and read, and find out who they are. But I want to preface it with how I laid this article out. One of the things that I try to do, was not just give you the top 24 trainers in the industry. But tell you a little bit about how they train. big pro advocate of what's called, “The systematic approach to training.” Meaning, there is always an initial training program to any industry you go into. I don't care whether it's engineering, construction, becoming a lawyer, becoming a doctor, it doesn't matter. There is an initial training program for every one of these types of professions, and network marketing should be no different. There are some network marketing fundamentals that you absolutely, in my opinion, need to learn. Some of the network marketing trainers listed below focus on those things more than others. That's okay. There's nothing wrong with it. But please, please, please take into consideration the fact that you should be focused on the fundamentals first, regardless of how one person trains over another. Then move on, maybe gravitate towards some of these trainers below, based on their style of training. Whether they're focused on social media, some of them are focused on paid advertising, some are focused on blogging, some are focused on video marketing. Here's one other thing I will tell you, it is not always obvious what they're focused on. Sometimes you have to look at their website, you have to dig in a little bit into their background, and where they came from, who they are, and what they're doing now, to really figure out what their model is. If you're a network marketer looking for training, then a surface level look is okay. If you're trying to figure out if you're here visiting this video, visiting this article trying to figure out how do you start your own consulting business, and sell to the network marketing profession, then you're going to want to look at this from a different angle. Most of the network marketing trainers that are listed below, have different business models. Some of their business models are completely internet marketing based. Some of their business models are not. But what they train on, may be completely different. The training that they delivered to you based on whatever your need is, may be completely different than the way they actually make their money. Nothing wrong with that, but understand based on what you're here for, you need to do your own research. I made it very simple. I gave them some ratings, five-star ratings, and then I tried to let you know the preference of marketing that they teach, and their strength. Their strength in the fundamentals of network marketing, how hard do they teach the fundamentals. Very important things to recognize, very important things to consider when you're picking out a trainer. I believe personally; this is Jason Lee's own opinion. That you only need maybe a handful, maybe three trainers at most, two trainers at most, to follow, really plug into, and learn from. You don't need to have 20 different trainers, because you know what's going to happen? You're going to buy every single one of their info products, you're going to go through a lot of money that you probably don't have, especially if you're only in this industry to make an extra 500 bucks a month. Which, most people, that's all they're trying to do. They're just trying to make an extra 500 bucks a month. If that's you, just pick one or two trainers to follow. One or two trainers, network marketing trainers that you really want to plug into, and listen to them. Give them a chance, maybe three months, maybe six months max. If they can't deliver with the training they provide, if it doesn't help you in your business, part ways with that training, find another trainer, another coach, another mentor. It's okay to switch or upgrade mentors, and see if that helps you. Don't be afraid to change, alter your course, to get to your final destination. Often times success is never … Every time, success, I've never seen anybody travel a straight line, and go from A to B to get success. It's always been a torturous, zigzag path to get there. If you have to switch trainers from time to time, find a new coach from time to time, whatever it might be to get to your final destination, then do it. Don't be afraid to do it. Don't be afraid of change, innovation, change is good. It's a good thing in the marketplace. Kosta Gara built a solid network marketing organization of 200,000 distributors internationally in a company called Lexus and soon become an MLM company owner by founding Bhip. Bhip currently has 1,000,000+ distributors across the world. Kosta's current focus is growing Gara Group, the industry's leading all-in-one solution for direct selling companies to launch and scale their business. Gara Group owns a multitude of companies, including Dev Pros, and helps network marketing mlm companies with things like: live events, finding Master Distributors, shipping, labeling, inventory tracking, compensation plan developement, back office developement, and more. It's quite the operation! The most recent client to Gara Group is iGalen, which is a health based MLM that focuses on supplements designed to help people that are either pre diabetic or diabetic. Gara Group recently helped iGalen reach their first 7-figure month in revenue which was amazing to help with and be a part of! Eric authored the book Go Pro and holds and annual generic network marketing event called Go Pro that does 8 figures in revenue annually. His training leans more towards offline and social media and focuses on duplication and referral based networking. Eric's company also brings in heavy names to help promote the brand and features the likes of Tony Robbins, Brendon Bruchard, and even Pitbull who is attending Go Pro as a keynote speaker for the 2017 conference. For some epic Eric Worre videos be sure to check out Go Pro by clicking the link! Matt Morris is a rockstar and top earner in World Ventures. In fact, Matt has been with them so long he's virtually the company face for World Ventures. Matt's training is probably some of the best out there and he's one of the few that has stuck with the trade rather than deviate towards consulting. Most other MLM leaders that train and teach the network marketing population sell their positions, but Matt has stuck true to the trade that's provided for him for so long. It's extremely impressive. Most of Matt's training focuses on the fundamentals of network marketing, with a strong emphasis on closing and recruiting. Ray made his first full-time income in a company called Numis Network which was acquired by World Ventures, after which Ray sold his position and moved into consulting. As a business partner with Ray I can truly say he's the real deal. Eric Worre refers to him as the triple threat guy, meaning he knows how to recruit and build online and offline. From what I've seen of Ray's training and how he operates I would say he's mostly a 50/50 guy when it comes to how to build. His early focus was on blogging. He's a huge advocate of leaving an evergreen footprint in network marketing for other people to land on. It's a concept called attraction marketing. Ray and his wife Jessica do well teaching the fundamentals of network marketing, they also leverage the leadership of others such as Tim Sales, Robert Hollis, Eric Worre, and even Shark Tank billionaires to build their online brand. Although Ray's business model is completely internet based, he focuses on teaching both online an offline strategies that work. He owns Higdon Group, which hosts a variety of conferences each year, including Top Earner Academy, Prospecting and Recruiting Summit, among others. The Higdon Group also earns revenue through a private coaching program they sell to top earners in the network marketing profession, helping those people move into consulting on top of earning income as leaders in their given company. I've had the chance to really get to know Tim Sales by building a relatively small Ariix business several years ago (800 reps or so). Tim is absolutely the real deal and although he got into the industry by building NuSkin, he has since rebranded himself and become known as a leader through his incredible training programs, including things like Brilliant Compensation, which he will admit is the most pirated video series in the MLM industry. Tim Sales is currently a Master Distributor for Ariix, a health based MLM that is owned by Fred Cooper, Mark Wilson, and a few others that moved out of Usana to start the company in July of 2011. Ariix corporate is based out of Utah and is predominantly Mormon in terms of the executive team and does extremely well incorporating their faith-based philosophies into how the company operates as a whole (i will admit my wife and I are not Mormon, but in full transparency it's worth pointing out). Tim Sales and his wife Laura created a program called 3X which they promote to Ariix reps to help them make customer sales. It works extremely well given Tim's experience in affiliate and internet marketing. They've put a lot of effort and money into the development of the program and Tim himself literally transformed his body to prove it works. Although Tim built his first business using traditional methods he has since been mostly an online builder. 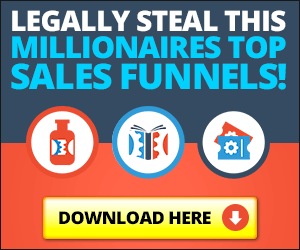 Most of his leads come from paid advertising and his massive network both in the USA and outside the country, but nonetheless he is able to train those people to duplicate regardless of the country or preference they have in growing their business. It's why he's one of the most sought after trainers in the MLM profession. If you want more information feel free to click the contact tab below, Tim currently has what's referred to as a reentry position in our downline and we can place you in his organization if you decide Ariix is a company you'd like to partner with. Holton Buggs has stuck with his MLM company for quite some time and spoken from Eric Worre's stage at Go Pro. He's definitely the real deal and made quite a living in the network marketing profession. One of the most impressive talks I've heard him give was on launching new distributors, and using conference calls to really drive depth and taproot new MLM businesses. Holton has a preference for offline network marketing and traditional methods but is an absolute beast when it comes to networking, recruiting, and duplicating. His current company is Organo Gold and he is one of the top performers if not THE top performer in that company. Keith is a regular speaker at ANMP, a live event that occurs once a year in Dallas, Texas. Keith is good friends with Tom Chenault and is a top earner in Youngevity. Keith got his start similar to Tim Sales in NuSkin which is where he first made his wealth. He has successfully built teams of over 500,000 distributors and is an icon in the industry. Although Keith has a blog and website, he does very little building online and mostly focuses on traditional methods and business overseas to expand his organizations. Keith and Tom Chenault are close friends and work closely with Curtis Broome, the founder of ANMP. Tom Chenault is a top earner in Youngevity and is a regular speaker at ANMP, a live event that occurs once a year in Dallas, Texas. Tom also got his start in NuSkin, however was not able to reach the top ranks in that company and struggled in his early days. Today, Tom and his wife Denise have built their empire to the top of the Youngevity compensation plan. Tom does have a Weebly blog and there are multiple broken links on the navigation bar which tells me most of his business if not all is built offline. Having worked with Richard Bliss Brooke and Bliss Business off and on for a year I can say him and his wife Kimmy Brooke are incredible people. In fact, we're heading down to Vegas a day early this year to spend time with them at a private event they're holding for their followers the eve before Go Pro starts. Richard and Kimmy have reached the top of pay plans in multiple companies, but the most recent was Life Shotz, which soon became Life Matters and was acquired by Young Living. Richard and Kimmy retained a position above their organization in Young Living after transitioning the organization over as well and now build in the field while running Bliss Business (a generic network marketing training company) simultaneously. We've had the privilege of helping Bliss Business scale their online reach by consulting for them on topics like: SEO, paid advertising, social media, and more. Richard and Kimmy respectively have authored books such as: Mach 2 with Your Hair on Fire, The Four Year Career, and The Four Year Career for Women. Jordan Adler is the author of Beach Money and has built a sizeable organization in his primary business Send Out Cards. Jordan was in 10 network marketing companies in his first 11 years and failed miserably. At the age of 34 he had less than 200 dollars to his name and over $30000 in credit card debt. Jordan ultimately became a top earner in his company of 2.5 million distributors and went on to make $20 million in network marketing. Jordan has built businesses consisting of over 200,000 distributors and nearly 500,000 customers in countries all over the globe. Although Jordan has a nicely designed blog, most of his building is done offline and internationally. Leave your comments, feedback, share this on social media if you got value out of it. Click here to access some of the best network marketing training videos on this site!